With so many artists mixing folk and electronica, it takes a special kind of band to stand out from the crowd. Western Australia’s Anton Franc are certainly up to the task. Recorded in basements and bedrooms in the Kimberly, their debut EP balances just the right amount of warmth with haunting isolation, resulting in a rewarding and memorable listen. Lead single Letting Go came out of a failed fishing adventure. It was nominated for WAM song of the year contest in 2010, as well as featuring in two European advertising campaigns and it’s easy to hear why. The slow build-up and delicate electronics work to create a song that is highly memorable and possibly one of the best tracks of the year. Other songs such as Jessy combine world music influences with standard indie, resulting in an interesting take on a well-trodden genre. Lady of the Night is atmospheric with unexpected harmonies. Despite the slower tempo it feels much shorter than it really is, which if anything, is a sign of a good song. EP closer Memo was also nominated for WAM song of the year, in the love category. The song is well and truly bittersweet, with the most noticeable electronic elements on the entire EP. Like Letting Go it shines above most of the current indie fare and deserves plenty more attention. The one flaw in the EP is opener Oh, Darling which doesn’t sit well with the other tracks. While the instrumentation is interesting and it is undeniably catchy, the tongue in cheek lyrics fall a bit flat compared to the rest of the record. But then again, considering this is a debut EP, it still lives up to even the highest of expectations. There’s no doubt Jaimie Kuzich and James Bowyer, the pair behind the music have great things ahead of them. The Anton Franc EP could put many more established bands to shame and is a definite must-buy. Have You Heard: Boom! Bap! Pow! If you threw Motown, doo-wop and a healthy dose of rock n’ roll into a blender, you would end up with Boom! Bap! Pow! a Perth band who make music that is both infectious and ridiculously fun. They’ve just released the No Pleasin’ EP, a collection of 50’s inspired tunes that go from the hip-shaking No Pleasin’ to the slow dance of Liar without sounding contrived or missing a beat. Hell, they even have a saxophonist in Jack Doepel, which instead of sounding cheesy, helps set them apart from other retro styled bands. While the EP is all kinds of fantastic, it isn’t until you see them live that you can really appreciate what they do. The whole band is completely captivating and seem to be having as much fun as the audience. Vocalist Novac Bull is the perfect atidote to the current crop of Julia Stones, with a powerful voice and a charismatic stage presence while the rythm section, including Clint Bracknell on double bass are close to flawless. They’ve been playing larger venues on their most recent tour as Royal Crown Revue’s support band, but could easily headline, despite their relatively short time as a band. Their EP can be picked up from shows or on iTunes. It’s $5 you won’t regret spending. Their debut album is also on Itunes, which I’m sure is just as amazing as the EP. EPs are like a difficult middle child. They aren’t seen to be as important as albums and they don’t have the disposable and popular nature of singles. Instead they are largely ignored despite the fact that many of the are truly excellent. So to make up for this, I have decided to write a list of the best EPs of 2009. With four songs and none of them going over 4 minutes, the best way to describe this EP is short and sweet. Three of the tracks could have been lead singles and made their way onto their debut album Hope Is For Hopers. The only song that didn’t make to the album was the experimental and slightly dirgey Pitchshifter Blues which feels out of place. The first three tracks more than make up for it though. Like Philadelphia Grand Jury, Oh Mercy also released an album that made it to my end of year list. This EP was released after the album was recorded as a teaser of sorts. Aside from the brilliant title it has some great pop songs and two instrumentals. At 6 tracks it also one of the longest EPs on the list, walking the line between EP and album. If your like Oh Mercy and haven’t heard this yet, try to track down a copy. How’s that for cover art? And the music isn’t half bad either. Hungry Kids of Hungary have some great catchy pop tunes and all of the four tracks here, including the slower number and single Old Money are impossible to get out of your head. While it is easy to hear who their influences are, it’s a great little EP. One of the best things about blogging is coming accross great new music and I found both Yae!Tiger and the number one band because they had been nice enough to send me their music. Yae!Tiger’s EP Songs From…Casualty of the Avalanche EP has some of the best packaging I have ever seen. The picture really doesn’t do it justice. Musically these guys have Los Campesinos! style pop songs with male and female vocals hidden under a layer of disortion. The EP also comes with a cute animated clip to their song Waging War At The Carnival. While this EP won’t change the world, it is extremely enjoyable. This EP highlights one of the downsides of EPs: the short length. 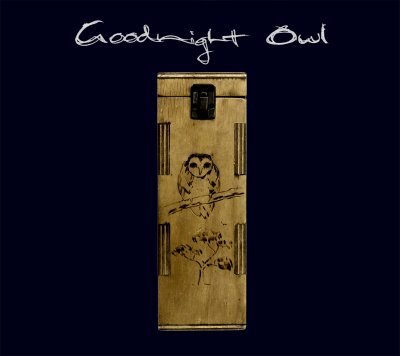 Goodnight Owl is a beautiful EP that sounds like it was made by an accomplished artist rather than a group of musicians who were just starting out. Sounding like a mix between Josh Pyke and The Postal Service, the mix of electronic glitches and acoustic instruments creates an almost perfect EP. These guys should be huge.